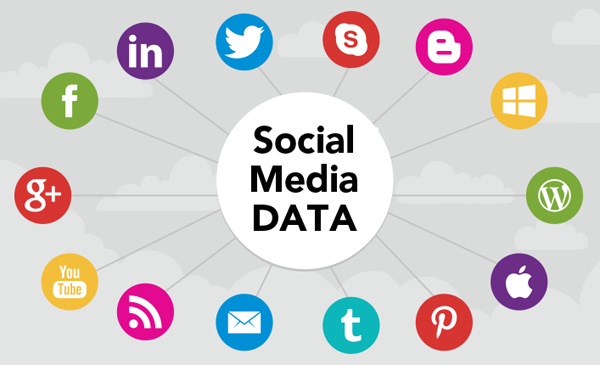 Social media and big data are so interconnected that they have almost become synonymous in some circles..
Social media and big data are so interconnected that they have almost become synonymous in some circles. The fact of the matter is that most experts agree that over 90% of all data in the world has been created in the past few years, and a major portion of it has something to do with social media. From this ocean of information, over 80% of it comes in an unstructured format that could be in one way or another tied to social media. Since big data deals with large sets of data that can’t be sorted and analyzed in a traditional manner, it is only natural that this method has been applied to try and make sense of all that information. With the knowledge gained from Big Data analytics, both marketers and business analysts gained a much more thorough knowledge of how their target audience behaves and what it expects. Indeed, the ties between big data and social media are now so strong, that it is virtually impossible to talk about social media marketing without having some facet of big data in mind. One thing that digital marketers can say today is that they certainly don’t lack the data. The question that arises, however, is what portion of that data has significant value and how to make sense of it? This information is from almost a year ago, so it is not hard to imagine that these mind-boggling numbers have grown even bigger. How can a marketer utilize this astounding amount of data that is collected every second? Simply put, for industry giants, it is useless to have a person monitor company social accounts and analyze each post, but rather they need to somehow glean trends and general feelings of their audience from those large sets of data. Big data is, after all, just a collection of data from various sources in various formats that can be processed and analyzed in an appropriate manner. The key problem is how this data can be correlated and formatted in a way that makes sense for analytics. When it comes to visual and audio data, a great help is artificial neural networks and narrow AIs which finally allow us to automatize this process. Of course, these technologies are fairly restrictive and are currently reserved for the biggest of companies, but it is fairly certain that they will be available for a more general audience in a very near future. Even so, there is some info that can be gleaned from information that is collected by information giants like google and Facebook by small advertising agencies or businesses. Using google trends, one can ride on the Google’s information coattails, and there are third-party products that can help you with big data analytics. Most of the times marketers consider information gathering a passive process, which it decidedly isn’t. The best way for any data to make sense is to have active experimentation and have clear and defined metrics that you are measuring. Using third-party data collection sources is more important for marketers relying on platforms that don’t provide as much data to their users. Instagram is a primary example. They don’t offer as much data to their advertisers as Facebook or Google, so people that want to buy Instagram likes should conduct their own research. The story of big data in marketing is maybe best shown in how it changed the Facebook ads ecosystem in the past few years. This isn’t really surprising if you understand that Facebook is one of the largest suppliers of Big Data, and owes its success in part to this. Facebook has collected an astounding amount of information on its users over the past 13 years. While it can’t sell this data directly, it can sell the results of their own research to third parties, as long as it is anonymous. More importantly, in this case, Facebook’s own advertising platform allows the marketers to maximize their campaign effectiveness, by utilizing big data analytics indirectly. When you create a Facebook ad campaign, you are greeted with a number of options. You can create your custom audience that can be further extended by something that Facebook calls look-alike audience. Furthermore, you are presented with an option for layered targeting that includes tons of filters to make your audience as specific as possible. To what extent this customization can go is probably best observed in a hilarious, but a bit creepy, an example where one ad marketer made targeting so specific that he completely freaked out his roommate, to a point where the poor fellow thought he was stalked. None of this would be possible without all the work that Facebook has done behind the scenes in data processing, and while these practices might be controversial from the privacy protection standpoint, no one can dispute how valuable this work is for both scientific and business purposes. Of course, this does not mean that the marketing has turned solely into a big data fest, and setting up your Facebook ads campaign still needs to be joined with other Facebook advertising practices, if you’re dealing with any kind of affiliate or digital marketing. In conclusion, big data has completely changed the digital marketing scenery, but it can’t be said that it has supplanted the traditional marketing methods. It is a tool, albeit a powerful one, but a tool nevertheless. Even if you think that big data isn’t of importance to you, you can’t really avoid it anymore, especially if you’re dealing with social media marketing, since the two are so overlapped nowadays, that it would be impossible to clearly distinguish one from the other. Finally, educating yourself on the benefits of big data analysis and how to implement it in your marketing strategies could give you an edge over your competitors, and in a not-so-distant future, it will simply be a matter of necessity, just to keep up with the pack.